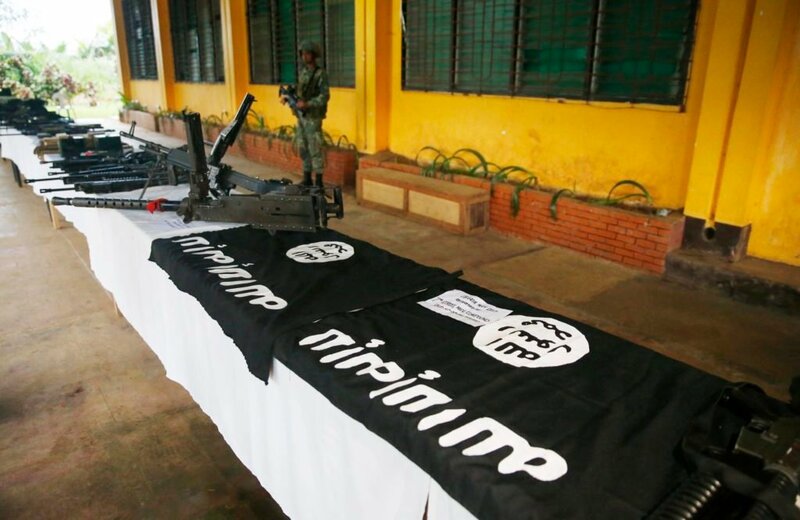 Members of the Maute group aligning themselves with the Islamic State want to expand their reach beyond Marawi City to be acknowledged as a branch of ISIS in East Asia, a security analyst said Thursday. “May balak silang i-expand ang reach in Mindanao area at yung pina-plano nila na maka-establish full control ng territories para ma-acknowledge na probinsya ng ISIS (They have a plan to expand their reach in Mindanao area and they are planning to establish full control of territories to be acknowledged as ISIS province),” Prof. Rommel Banlaoi, a scholar and international security analyst, told Radyo Inquirer in an interview. While they are already recognized as ISIS fighters, a full control of an area was a requirement to be a part of the Islamic caliphate. “Yung plano is territorial control. Di ka magiging bahagi ng Islamic caliphate kung wala kang full control ng teritoryo (The plan is territorial control. You’ll never be part of Islamic caliphate if you don’t have full control of a territory),” Banlaoi, who finished a PHD on international relations in China, said. The ongoing siege in Marawi, now on its fourth week, started with a botched raid to arrest Abu Sayyaf senior leader Isnilon Hapilon, the purported leader of Islamic State in Southeast Asia. More than 200 people have been killed and thousands of residents have already evacuated the city since then. Banlaoi said Hapilon was even featured in the propaganda newsletter of the ISIS last week, with a photo of the Marawi siege on the cover. “Ang cover ng issue ay ang nagyayari sa Pilipinas, Jihad in East Asia. May exclusive interview ang ISIS kay Hapilon na kinikilalang emir of soldiers of caliphate in East Asia. Dito na-discuss ang kanyang views of failure of peace talks, and the failure of President Duterte to address the problems of Muslims in Mindanao,” Banlaoi said.